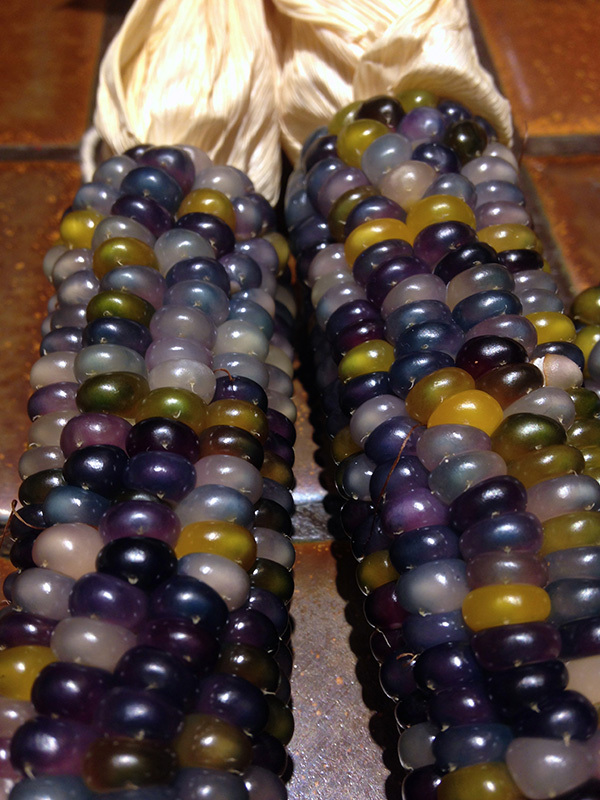 I planted some Glass Gem corn seeds this year from Native Seed Search in AZ and grew them out. For the last 3 years I’ve tried to buy this seed but it was always sold out so I was excited to try them this year. The range of colors is incredible. Opening each ear of corn was like Christmas because you wouldn’t know what colors would be inside. Many of the colors look like little glass pearls hence the name and some look less pearlized but all are stunningly beautiful. An interesting note is I noticed in the packet that some seeds had color and other seeds less color and it didn’t seem to matter when they grew out but maybe that’s because no one has tried to isolate particular colors yet. I know the seeds are pure because I didn’t grow any other corn this year and all my neighbors don’t have any veggie gardens for wind cross-pollination. I am saving the seeds and will sell them by the color next spring. 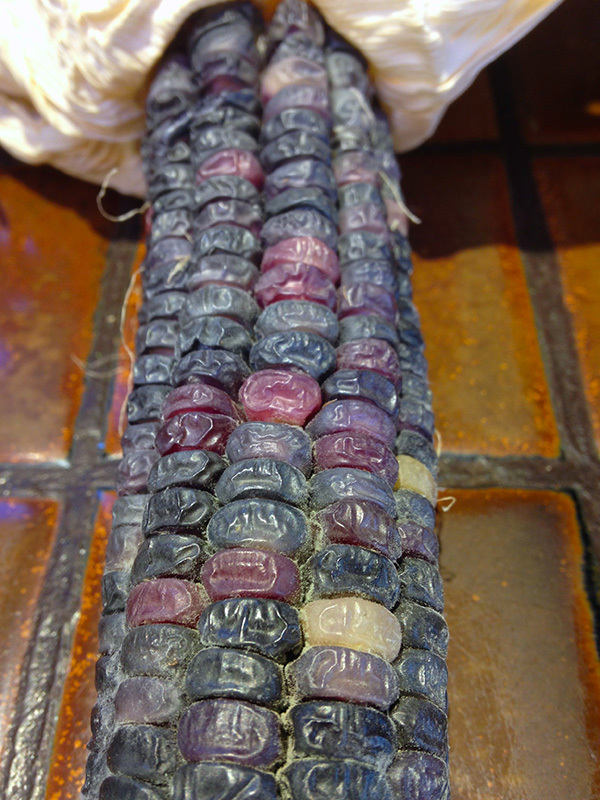 Of course there is no guarantee that each kernel of corn will even produce its particular color because of its unique genetics (just because you have blue eyes doesn’t mean you will produce a child with blue eyes-it depends on your genetics and the one you mated with). I’ll let you know next spring how you can buy some of them. 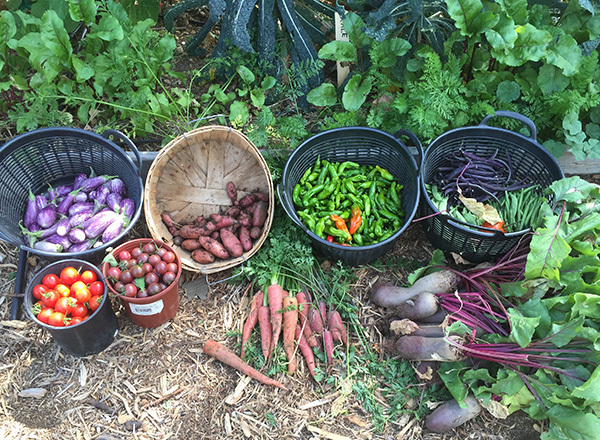 I’m going to take my favorite colors next year and replant the seeds and label them to see if they grow back out to that color. Great project for a Master Gardener, don’t you think? Of course I’ll have to isolate them or cross-pollination will happen for sure. I might call upon a few of my gardener friends to grow one particular color in their garden with no other corn-growing there to see what happens. This will be an interesting endeavor. There were 15 different color combinations with some producing very limited colors due to just a few ears having those colors and some have a lot of ears with a particular color combo. Some I won’t even sell because there aren’t a lot of seeds with a particular color. So here are the colors. Check out these beauties! Wow I’ve scored big time in my mind. 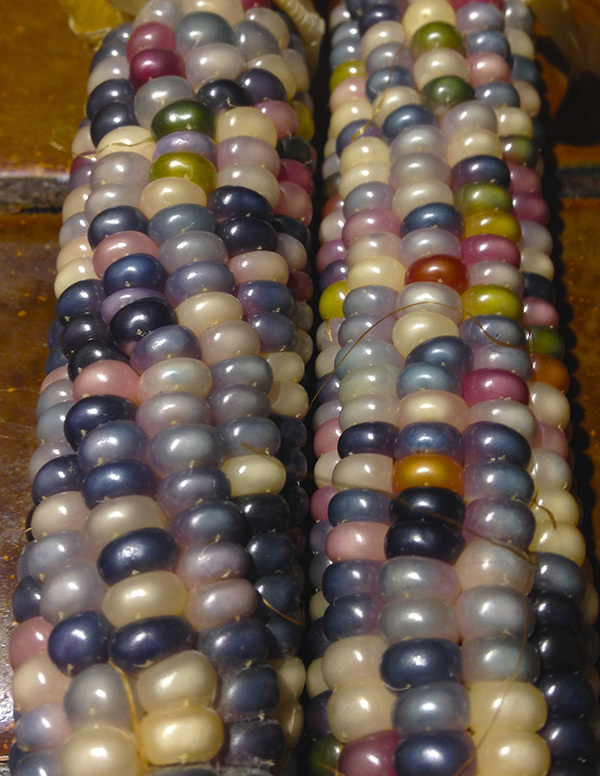 I just received some ‘Glass Gem’ corn seeds from Native Seeds in Arizona. They are not cheap but usually rare seeds aren’t cheap. 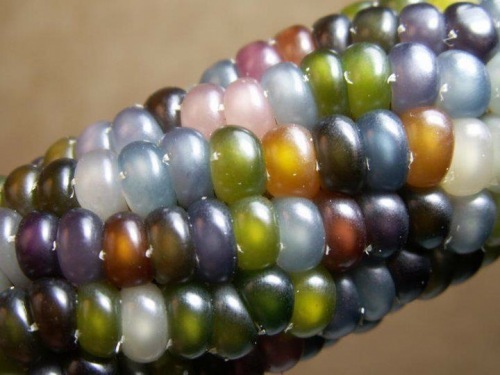 This corn is so beautiful with it’s stunning translucent colors. Looks like glass to me. How fitting for a glass blower to grow this corn! 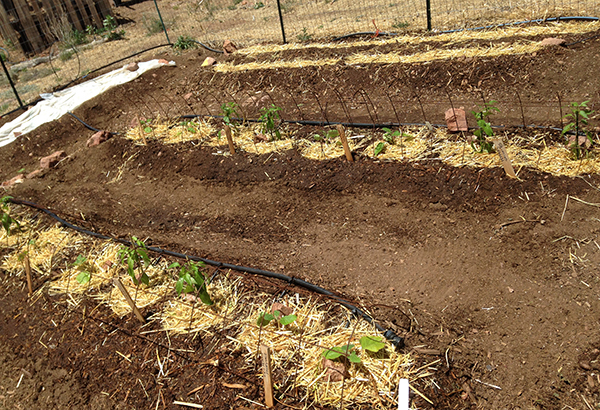 Can’t wait to get it in the ground (but I will) as it is still too soon to start growing here in Santa Fe.